The Amazon Echo is the biggest tech breakout in recent memory – a voice activated, internet-connected” smart speaker” with a built-in virtual assistant named Alexa that can answer your questions, follow your instructions and control your smart home devices. Amazon’s Alexa assistant has stood the test of time and is getting even smarter. If there was any doubt about the company’s commitment to it, just look at the range of Echo devices it now offers: Echo Dot, Echo 2, Echo Show, Echo Spot and – the one we’re reviewing here is Amazon Echo Plus. Alexa also has the same skill set regardless of whether you use an Echo Plus, Echo 2 or Dot. That means you can get a news update, weather forecast, road or rail status update, unit conversions, timers, play music, listen to the radio, add items to your shopping list, send messages, check calendars and much, much more. Echo Plus is a simple way to start your smart home. It has a built-in ZigBee smart home hub, which allows for simple and direct setup of compatible ZigBee lights, locks, plugs, and in-wall switches from brands like Philips Hue, GE, and Yale. No additional hub required. Set up your smart home in minutes: Echo Plus has a built-in hub that seamlessly connects and controls compatible smart devices such as light bulbs, door locks, switches, and plugs. Simple setup works with a variety of Zigbee lights, locks, and plugs from leading brands, such as Philips Hue, GE, Kwikset and more. 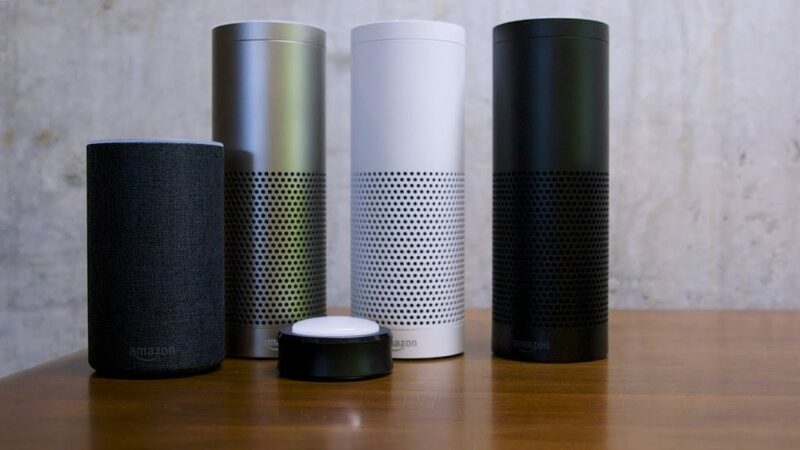 Control hundreds of other devices: Echo Plus can connect to other Wi-Fi and Bluetooth smart home devices with the Alexa app. Voice control your music: With a 2.5″ down-firing woofer and 0.8″ tweeter powered by Dolby, Echo Plus has crisp highs, deep bass, and 360° audio to fill your room with music. Play from Amazon Music, Spotify, Pandora, iHeartRadio, TuneIn and more. You can also listen to Audible, podcasts, radio stations, news briefs and more. Hands-free calling and messaging: With Echo Plus, you can instantly talk to anyone hands-free – no tapping or searching is required. Far-field voice recognition: Echo Plus has improved wake-word performance to hear you ask a question from any direction – even in noisy environments or while playing music at loud volumes. To download the Alexa app, go to the app store on your mobile device and search for “Alexa app.” Then select and download the app. You can now use your Echo device. To get started, say the “wake word” and then speak naturally to Alexa. Your Echo device is set to respond to the wake word “Alexa” by default. Alexa Devices is always getting smarter – the more you use Echo, the more Alexa adapts to your speech patterns, vocabulary, and personal preferences. And because Echo is always connected, updates are delivered automatically and you are up-to-date every day.